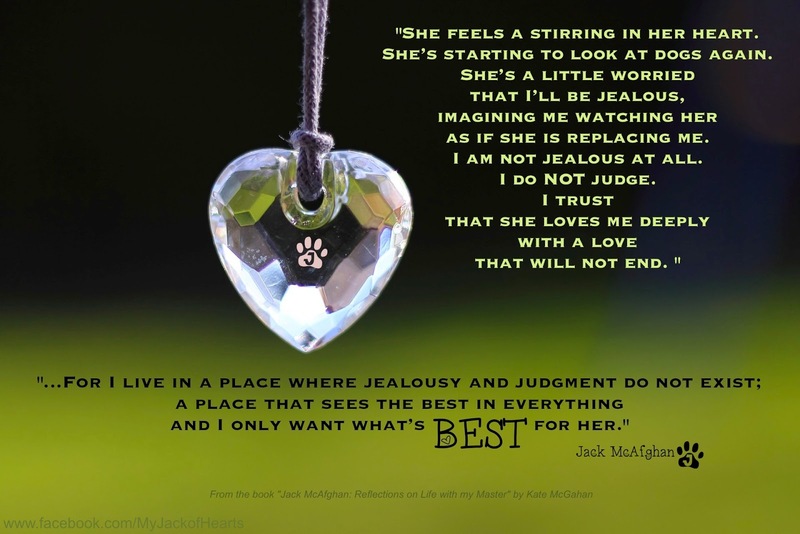 Kate McGahan: Life is the School Love is the Lesson: How Will I Know When To Get Another Pet? Some people spend hours, days, weeks, months frantically searching the Humane Society, Petsmart weekends, the internet, Petfinder and other places thinking "the One" is out there somewhere and they don't want to miss it. The process can be emotionally exhausting, even though there is some merit to it (it pulls your forward out of your grief and starts you thinking about the future instead of concentrating on the past). The right pet will find you when the time is right. This is another situation you must approach calmly. You need to be in the right state of mind. I heard once, "If you want something in the worst way, that's how you'll get it." Sometimes humans can get very depressed and make decisions they would not otherwise have made. One must be cautious. Hitting the bottom of grief can be By Design... so that you want to reach out. Because you miss the unconditional love so much you don't know how to live without it. We are not meant to go through life all alone. Sometimes Hitting Bottom is designed to remind you that God is there waiting for you. Sometimes it's because someone else, perhaps a new four-legged friend, is there waiting for you too. Sometimes you turn around, look the other way towards the bright side ... and find them right in front of you waiting for you. Be cautious because you want a pet who fits your lifestyle and when you make decisions amidst grief, depression or other complex emotions, you can make a mistake. Depression robs you of your energy, so now is probably not the time to be looking for an 8 week old puppy that will need 1-2 years of training! You don't have the energy for that. You think it might be a great adventure to take your mind off your loss, but think again. Puppy training could ultimately overwhelm you even more....and it will be a long haul before they are a stable and mature. 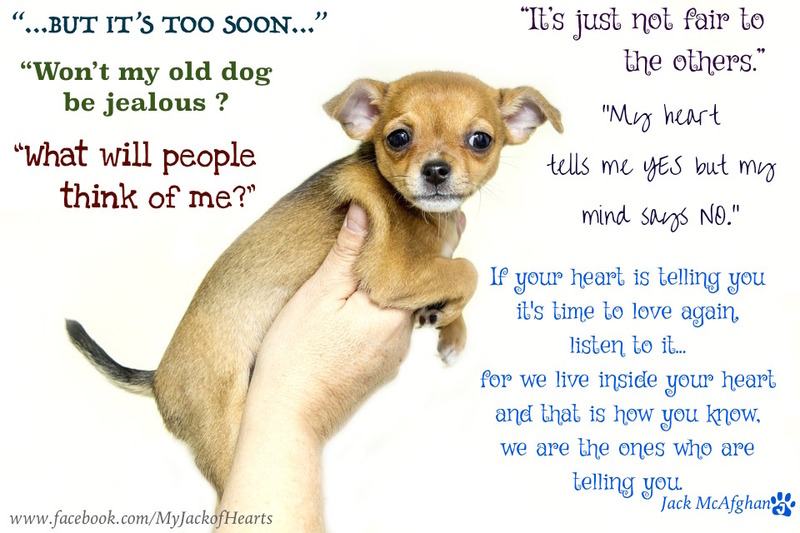 Many people in this situation ultimately end up surrendering their new pets because the training can take it's toll. You need to take care of YOU and the right pet will take care of you too. In this case, getting a mature pet who is already trained would be a much better choice. The very fact that you are thinking seriously about getting another pet means you are getting closer to getting one. 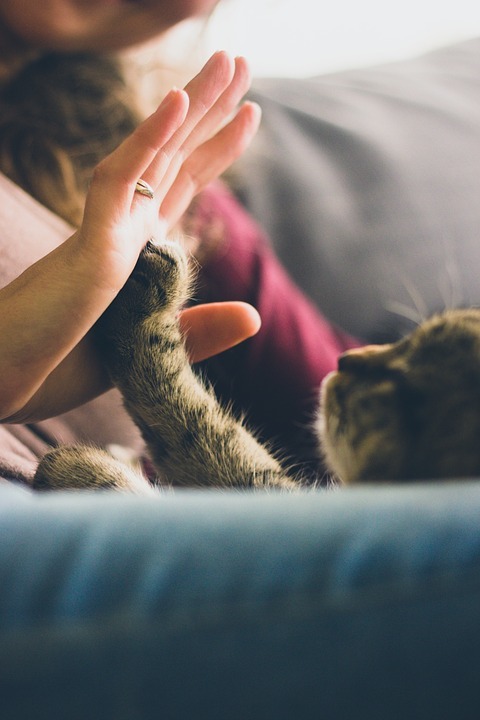 Remember that everything feels right about it when a new pet is right for you. You are put in the right place at the right time. The process is smooth and easy. Sometimes you don't even have to DO anything. The pet will come to you. When it's right, you feel it in your heart. The price is always right because you want that particular one and you will pay the price. You'll see. You won't believe this until it happens to you. My Kate went through the same dilemma. There is nothing worse than regretting this kind of decision. 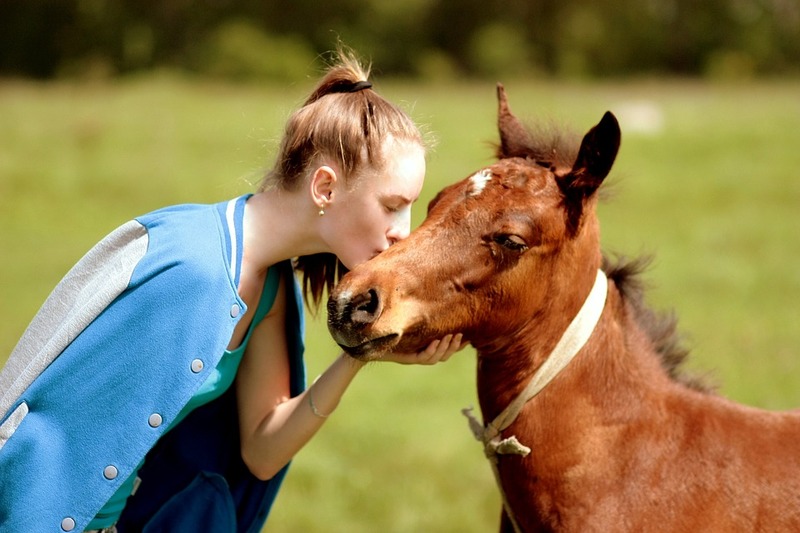 Of course you will have the normal "What If's" and perhaps some fear of commitment but there will be an underlying confidence that this is the pet for you. 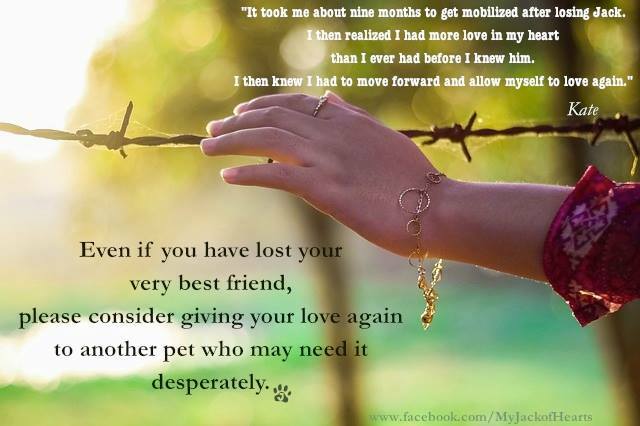 There are many pets available that need loving homes and there will always be another opportunity. The timing will always be right. Let your heart and soul lead you to the one that's meant for you. Let your heart lead the way...not your head... or what someone else thinks you should do. Are you starting to think about it more and more? Your time is coming. Your heart and soul pet is taking care of all of this Behind the Scenes. Your pet knows you better than anyone does. You pet knows where you are and what you need. Put yourself in her paws, take an honest look at yourself and your life and ask yourself... what kind of pet do you need? Then you hold that picture in your mind and your heart and soul will bring that pet to you. 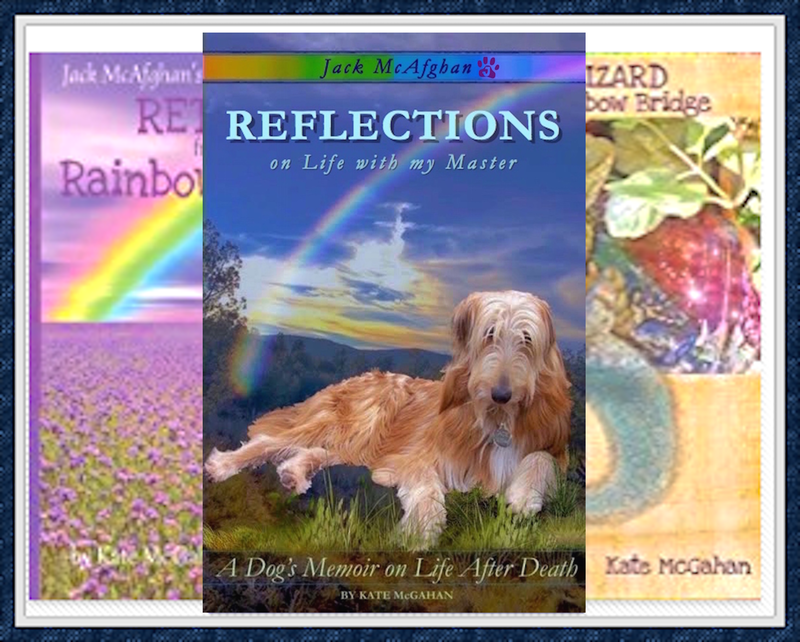 Talk to your pet at Rainbow Bridge. Ask that pet to help you; to lead you to the right one. Keep in mind that there will always be people who will tell you what they think you should do. They will tell you it's too soon or you're taking too long, They might say, "Just get another dog." or "I know of a dog who needs a home. Why don't you just take it?" 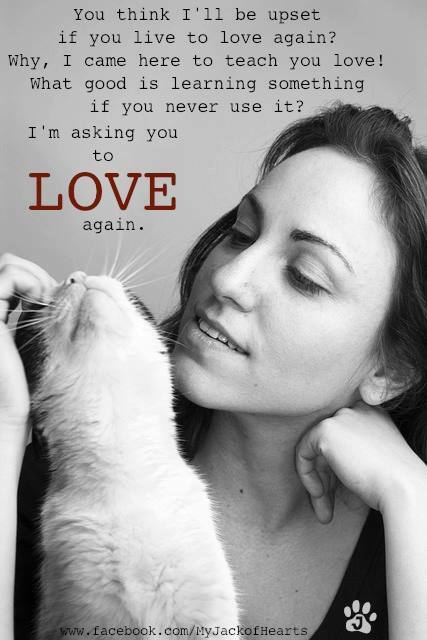 They are well-intended but they do not understand the level of love you have shared with your pet. Try to realize the fact that if they didn't care about you they wouldn't say those things. They want you to be happy and it's all they know to do. To them A Dog = A Dog so therefore A Dog, any dog, will make you happy again. Try to forgive them for They Know Not What They Do. Thank you for wanting to love again. We love you the way we do so that you will miss the love when we are gone (only from your sight) and so that you will seek it again. It's all about the love. This is the best article I have ever read on this topic.